Home > BOOKS>"Poesia, um dia"
The poems grouped here are the result of writing residences that are part of the meeting of poets "Poesia, um Dia", organized by the José Baptista Martins Municipal Library, Vila Velha de Ródão. These meetings were created in 2012 and 2013, the early years of this event. Their main scenario the mouth of the river Cobrão. 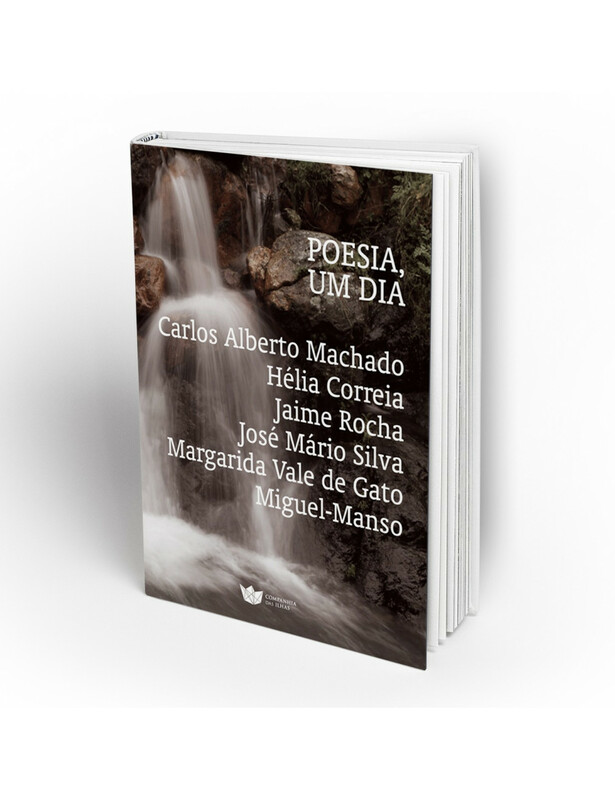 Carlos Aberto Machado, Hélia Correia, Jaime Rocha, José Mário Silva, Margarida Vale de Gato and Miguel-Manso participated in "Poetry, A Day" at different times and circumstances.